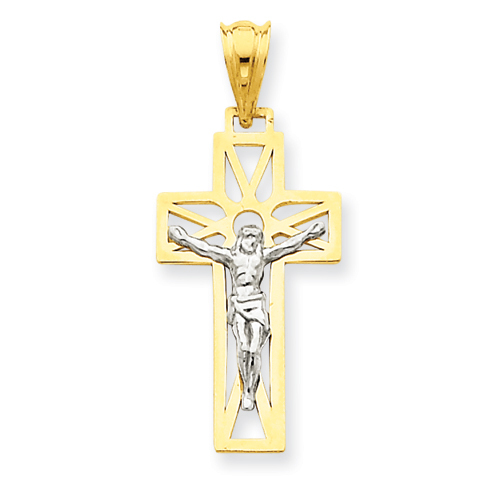 14k two-tone gold crucifix pendant has a cut-out design. Item measures 1/2 inch wide by 7/8 inch tall without bail. Weight: 1.0 gram. Polished finish on front and back. Fits up to a 3mm wide chain. Made in USA.